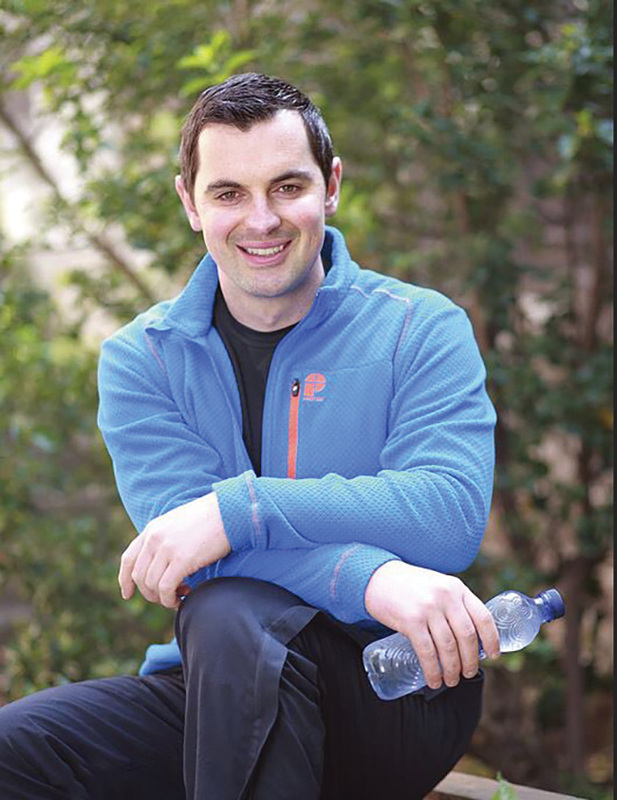 HE’S probably best known as the no-nonsense health and fitness expert on RTE’s hugely successful show, Operation Transformation, but personal trainer Karl Henry has worked extremely hard to get to where he is today. Chatting to Connect as the new series kicks off for its 12th season, Karl assures us that it’s never too late to take control of your health. While he admits that achieving a healthier lifestyle is not easy and takes determination and plenty of hard work, it is very much achievable no matter what age (or size) you are! Now very much a household name and go-to man for health and fitness expertise, Karl’s journey to success began with his dad’s business, where, despite being one of the family, he didn’t necessarily get an easy ride! “My dad had a gym, and still has, and when I wasn’t in school I was there – mostly, scrubbing toilets, cleaning machines, washing mirrors and learning the foundations for what would become my career, getting pushed out of my comfort zones into doing classes and working with people,” he told Connect. While he considered himself an active teen, playing rugby, exercising regularly and eating well, he too – like so many of us – has always had to watch his weight. That, he believes, is what helps him work so well to get the best from his clients. “Though I was always heavy set, I still am, and have to watch what I eat and how much I exercise to keep my weight in check. I think that’s one of the reasons I can relate to my clients. I know where they are coming from,” he said. While he is probably best known for his TV work, Karl owns his own personal training company, Karl Henry Health, doing 35-40 sessions a week with clients. He also writes for the Irish Independent and records a weekly podcast called the RealHealthPodcast. And if that wasn’t enough, Karl also does a lot of corporate work around Ireland and Europe, working with companies on their employee wellness programs. So how did he make the break to TV, and subsequently becoming one of the nation’s best known and well-regarded personal trainers. His passion for Operation Transformation is clear to see, so what is it about the show that draws him back year after year? As for the critics who don’t agree with the Operation Transformation format? He’s genuinely not bothered. So, as a new year dawns and people are once again deciding that this is ‘their year’ to get healthy, we asked Karl for his best advice to help people stick to it, given that so many give up within a few months. His answer…be realistic and make it fun. You’re aiming for a lifestyle change and not a quick fix! “What I would say is to set realistic goals, find exercise that is fun, eat sensibly and apply a balanced approach so that you are aiming for long term, life-long health and not the usual quick fix. Remember that real health takes time, it takes hard work and it’s not easy,” he said. Part of doing it ‘properly,’ he explained, is making sure you devise a plan that you enjoy and makes you happy – and most importantly one you will stick to. “Extreme exercise is in fashion at the moment, and that’s fine for some people, but not all. Healthy is finding what works for you, for life, that’s enjoyable, fun and challenging too,” he said. Diet is key too, Karl says, affirming the old adage that you simply can’t out exercise a bad diet. Karl also believes that parents have a huge part to play in promoting a healthy lifestyle in their children and need to take responsibility now. When asked how he would react to someone feeling that it was too late to change their lifestyle, or that too much damage had been done through years of neglect, Karl was having none of it. “It’s never too late. You’re never too old and you’re never too unfit. Just start small and go from there,” he said. And he should know, having seen some wonderful transformations over the years – not only on TV, but in his day to day working life. Karl is also keen to share his expertise with the wider public through his podcast and on social media, offering invaluable tips and advice to his thousands of followers. He has also written numerous books, including the recent, number one best-selling ‘Karl Henry’s Healthy Living Handbook – an encouraging, practical guide to a sustainable plan that will help you achieve lasting changes in your well being.